Mastercraft Kitchens Kaitaia licensee The Kaitaia Kitchen Centre is owned and operated by Leon and Emma Matthews. 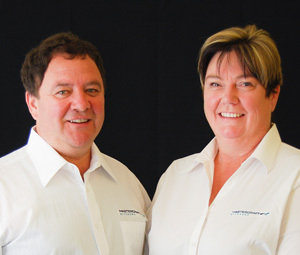 Leon and Emma started their business in Kaitaia 25 years ago and have become renown locally as a supplier of quality kitchens, to the mid and upper end of the market. Leon is a qualified Cabinet Maker and has the only CNC facility in the Far North. We specialise in bespoke kitchens – we don’t take a cookie-cutter approach! We understand that your new kitchen is the heart of your home, and we work with you to make your dream a reality. As well as designing and manufacturing kitchens, we can also create bespoke joinery and cabinetry for other areas of your home, as well as commercial areas – offices, retail spaces. Kaitaia, Mangonui, Taupo Bay, Cable Bay, Coopers Beach, Hihi, Karikari Penisula, Tokerau Beach, Ahipara, Cape Reinga, Dargaville, Hokianga, Kaikohe, Kohukohu, Matauri Bay, Kerikeri, Bay of Islands, Okaihau, and surrounding areas. Photo credit: The kitchens on this page have been created by Mastercraft Kitchens Kaitaia. Thank you to our fabulous clients who invited us into their home to photograph their dream kitchens. Photography by Jamie Cobel. Showroom hours: Mon - Fri: 8am to 4.30pm. Sat by appointment. Public holidays closed.